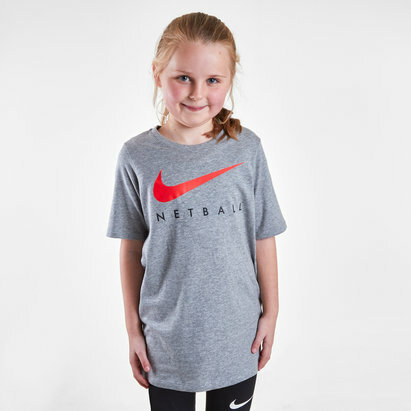 Go crazy for the Roses and look just like your heroes in this Nike England 2019 Kids Warm-Up Netball T-Shirt. This t-shirt combines sweat-wicking fabric with a print design that will make you look fast even when you're stood still. 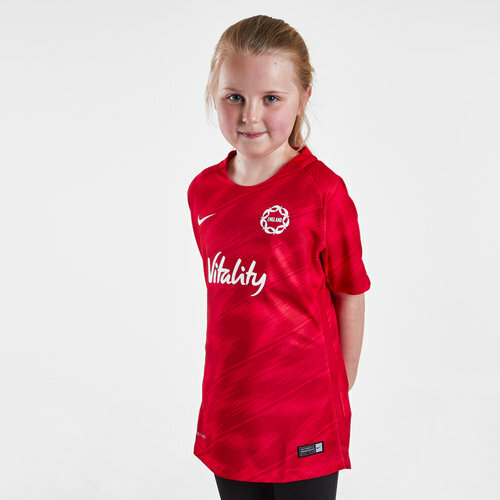 This warm-up t-shirt features the Nike logo on the right and the England Netball badge on the left. The team's sponsors are now health and life insurance and investment providers - Vitality. Vitality recently announced a three-year extension of its partnership with England Netball in one of the largest deals in women’s sport in the UK.